Though the 2018 Health Insurance and Medicare Annual Open Enrollment Periods are now behind us, many people forget they can still shop for dental insurance. Dental Insurance is not subject to any designated enrollment period like Medicare and Health Insurance plans. The BCBSNC Dental Blue plans can be applied for anytime throughout the year. The only deadlines to consider are the application effective date deadlines. Blue Cross of NC requires applicants to apply for the Dental Blue coverage by the 15th of the month in order to qualify for an effective date of the 1st of the following month. Aside from this regulation, shoppers should also consider the waiting periods for certain covered services. Generate a quote to learn more about the coverages and waiting periods. Blue Cross Blue Shield of NC also made a few notable changes to the Dental Blue plan in 2018. First, seniors are now eligible for the same coverage as customers under the age of 65. This means Dental Blue members that are over age 65 no longer have a co-payment for preventive care visits. 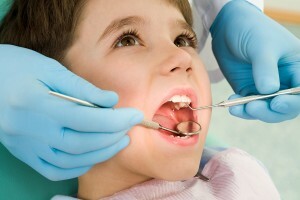 The preventive care visits are now covered at 100% just as they have always been for the under 65 Dental Blue members. Please generate a quote and see the brochure for more details on the preventive care coverage. Next, the coinsurance percentages have changed for Basic services. These services are now covered at a higher percentage than in years past. Studies have also shown that oral health may be related to numerous other health conditions and diseases. This is another good reason to make sure you don’t neglect the need for regular routine dental care. The Mayo Clinic explains more about which conditions and diseases have been linked to oral health and dental hygiene. Dental Blue – Enroll a Dental plan for 2017! Maintaining a healthy lifestyle and practicing preventive health maintenance includes paying attention to oral health. Having a dental plan that covers your preventive care dental visits and also provides coverage for other basic and major dental services is a smart way to protect your health and the health of your family. Unlike medical plans which are subject to an Annual Open Enrollment period, you can enroll in a Dental Blue insurance plan at any time during the year. Now that you’ve gotten your health insurance in place for 2017, consider enrolling a dental insurance plan. Blue Cross Blue Shield of North Carolina offers dental coverage for individuals under 65 as well as Senior plans. Seeing your dentist on a regular basis does more for your health than give you a pretty smile. In fact, regular dental check-ups can tell your dentist a lot about your overall health and whether or not you may be developing certain health conditions. According to the Academy of General Dentistry, there is a relationship between gum disease and certain health conditions such as heart disease and stroke. Research suggests that oral health very often mirrors the condition of your body’s overall health and many other diseases like leukemia and diabetes actually show symptoms in the mouth, such as swollen gums, ulcers, and dry mouth. Seeing your dentist on a regular basis allows your dentist to monitor changes and developments that could alert them to more serious health issues. If you are over Age 65 and looking for Dental Insurance, BCBSNC has you covered. As a Medicare recipient, you may have realized that Medicare does not cover most dental expenses, which can leave you with a big gap in coverage. What you may not realize is how important it is that you continue to maintain your dental health at every age. Medical experts have linked periodontal (gum) disease to stroke, heart disease, diabetes and other critical health issues. In fact, nearly 75 percent of American adults have some form of periodontal disease. With proper daily dental care, however, regular dental checkups can help detect, prevent and treat gum disease and related disorders. Having the coverage you need to make seeing your dentist affordable can make a big difference in your overall health. 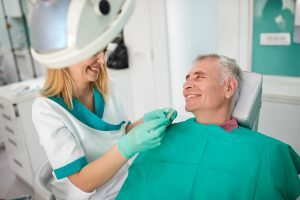 With Dental Blue for Seniors, you’re covered for a broad range of dental services, including routine fillings and extractions, plus major services like crowns, bridges and dentures. Coverage also includes preventive care, such as bite-wing X-rays and fluoride treatments. 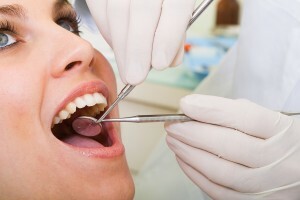 That means you can get checkups and cleanings twice per benefit period, which ultimately supports better oral health. In addition, there are no waiting periods for cleanings, routine oral exams and other diagnostic and preventive services. Having proper dental care is an important part of taking care of your health and a Blue Cross Blue Shield of NC dental plan can help you do just that! Choose Dental Blue for Seniors and you can take a big step toward protecting your overall health. 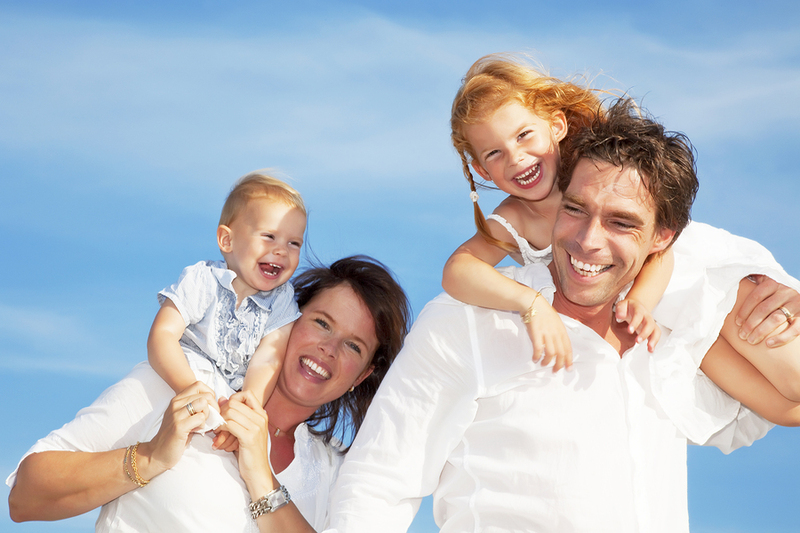 For more information on North Carolina insurance coverage, please visit our website at www.nchealthplans.com or call our toll free number 888-765-5400 and speak with one of our experienced and professional agents. Are you looking for BCBSNC Dental Insurance and are over Age 65? Blue Cross Blue Shield of North Carolina has you covered! Medical experts have linked periodontal (gum) disease to stroke, heart disease, diabetes and other critical health issues. In fact, nearly 75 percent of American adults have some form of periodontal disease. With proper daily dental care, however, regular dental checkups can help detect, prevent and treat gum disease and related disorders. Choose Dental Blue for Seniors and you can take a big step toward protecting your overall health. Did you know that summer can be hard on your smile? Blue Cross Blue Shield of North Carolina and Dental Blue, however, help you practice crucial preventive care throughout the year. Studies indicate that extreme heat can actually harm your teeth and gums and the high temperatures, dehydration and activity surrounding the summer months make it more important than ever to maintain oral hygiene. Unfortunately, some of the best parts about summer such as swimming, citrus fruits and drinks like oranges and lemonade, and outdoor sports are some of the worst things for your teeth. 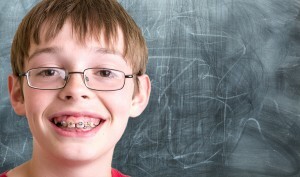 Recently my ten-year old son had an accident on the playground and broke his two front teeth. I had no idea what to expect, but luckily our dental insurance covered most of the cost for an emergency exam, X-rays and bonding. What could have been a huge expense wound up being almost minimal, but that experience got me thinking about the importance of dental coverage for kids. If you are age 65 or older, consider investing in your dental health by enrolling in a Blue Cross Blue Shield of North Carolina dental plan. Your preventive care will be covered at 100% and there are no waiting periods for preventive services. In addition, a BCBSNC Senior dental plan will provide coverage for other important basic and major dental services. There’s almost nothing sweeter than a beautiful smile, but almost nothing worse than teeth or gums that are causing you pain or discomfort. Blue Cross Blue Shield of NC and Dental Blue can help. Having a dental plan that provides for routine oral exams, teeth cleanings, fluoride treatments, and X-rays is an important part of oral maintenance and preventive care. With a large network of dental providers, Blue Cross Blue Shield of North Carolina is a trusted name when it comes to both health and dental insurance. Blue Cross Blue Shield of North Carolina wants you to know that your kids matter and we have them covered from head to toe with pediatric dental and vision benefits. Pediatric dental and vision coverage, including orthodontia services, is considered one of the Affordable Care Act’s 10 essential health benefits required on all qualified health plans. This coverage is no longer part of a separate Dental Blue policy, but rather included in Blue Cross Blue Shield of North Carolina’s medical policies. What this means is that you no longer have to purchase a separate dental policy for children under the age of 19 and pediatric vision benefits are embedded into your child’s medical plan, giving you the confidence of knowing your kids are covered. Below is a general summary of the coverage you can expect; however, you should always review the benefit details of your individual policy. The provider must file the claim for lenses and frames. Whether your son needs eye glasses or your daughter needs sealants, BCBSNC is here to help with pediatric dental and vision coverage included in all health plans. 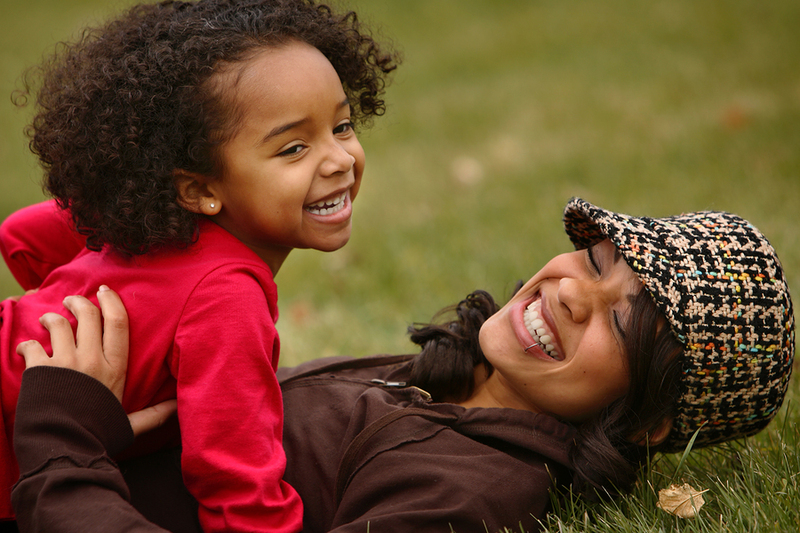 See what makes a Blue Cross Blue Shield of North Carolina health plan the perfect coverage for you and your kids! 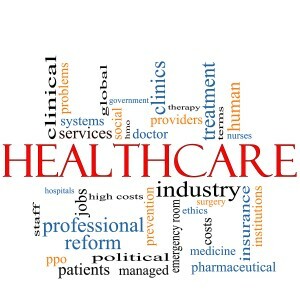 For more information on Blue Cross Blue Shield of North Carolina health insurance coverage in North Carolina, please visit our website at www.nchealthplans.com or call our toll free number 888-765-5400 and speak with one of our experienced and professional agents. Let us help you navigate through the Health Care Reform changes in accordance with the new regulations of The Affordable Care Act, also known as Obama care.